As we know, Samsung Galaxy S series is a line of flagship smartphone, while Galaxy A series is intended for mid-high segment. 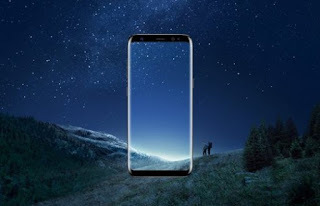 Usually Samsung bequeath things that belongs to the Galaxy S series in the previous year for the Galaxy A latest series and it proved to bring success in the mid-high segment. For Galaxy A series in 2017 itself has inherited waterproof features and Always on Display which makes a meaningful increase to the ranks of Galaxy A series 2017. Well, according to rumors recently said that if Samsung Galaxy A 2018 will inherit what is owned Galaxy S8 , the design of Infinity Display. Infinity Display itself is a full-screen smartphone design that offers super-thin bezel, including the top and bottom. The trend of full-screen smartphone design itself is still in demand, where many companies have launched a full-screen smartphone. Even some manufacturers like Apple and Huawei will also launch their full-screen smartphone this year. But the unfortunate side, is the fact that full-screen smartphones target the high-end segment, which requires you to spend deep to have it. If this rumor is true, of course it is good news because full-screen smartphone for the middle segment more and more. For Galaxy A 2018 series itself is expected to slide at the end of this year or early next year. We look forward to further news about Samsung’s mid-range smartphone is. Previous post Not Perfect, Wireless Charging On iPhone 8 Still Slow?